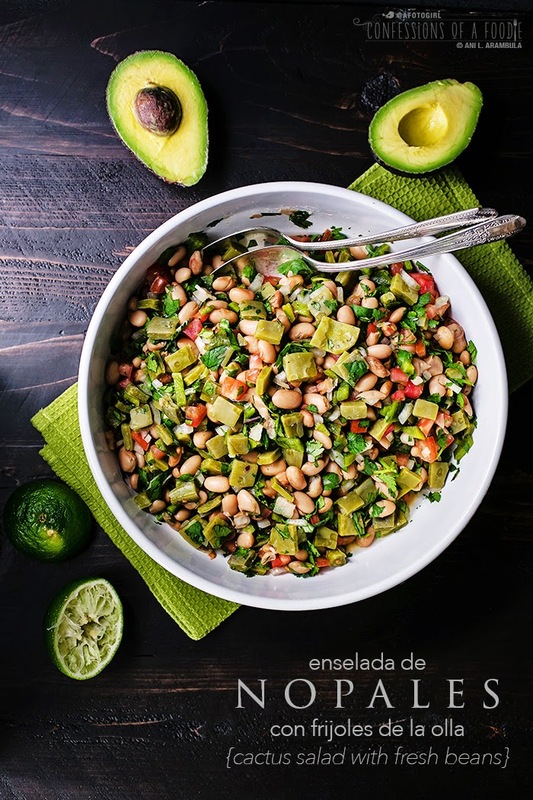 Recipe for Enselada de Nopales a la Mexicana (Mexican style cactus salad) with beans is a nutritious Meatless Monday main dish. Enselada de Nopales con Frijoles de la Olla is my Dad's favorite way to marry nopales (cactus) and fresh cooked beans. Packed with nutrients, this main course salad is vegan, gluten free and a great choice for Meatless Monday. 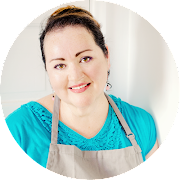 Last week I showed you how easy it is to clean and cook nopales (cactus paddles). 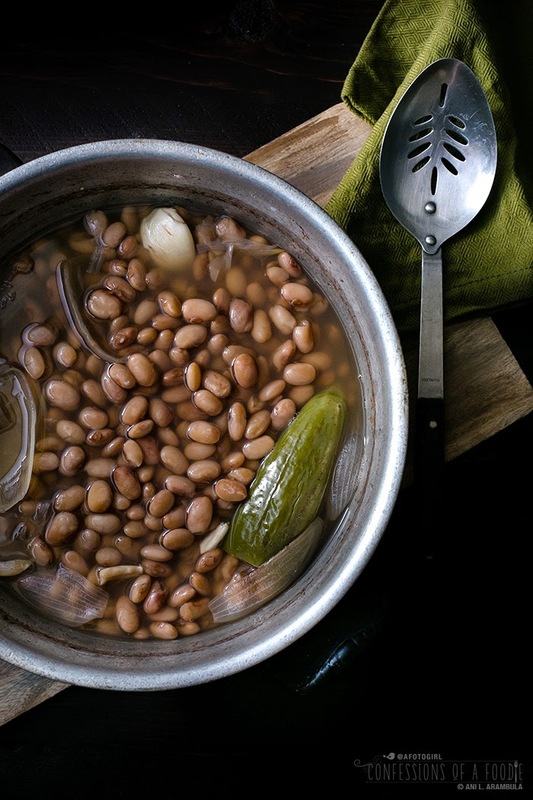 The week before that, I showed you how to make frijoles de la olla (fresh cooked pinto beans). 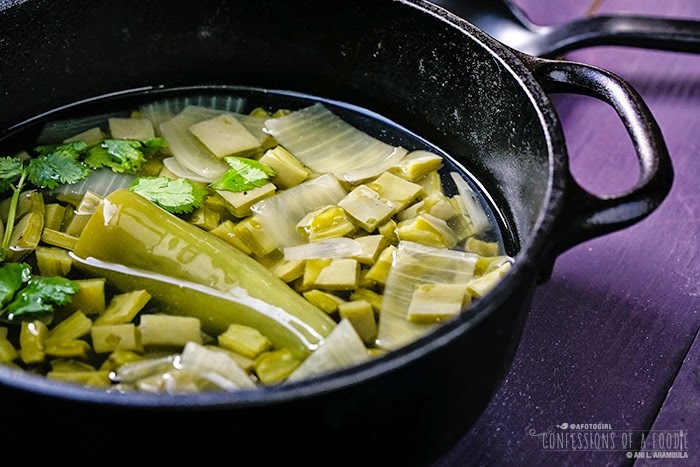 This week, I'm showing you my father's favorite way to marry these two: enselada de nopales con frijoles de la olla. Or as my dad simply calls it, bean salad. 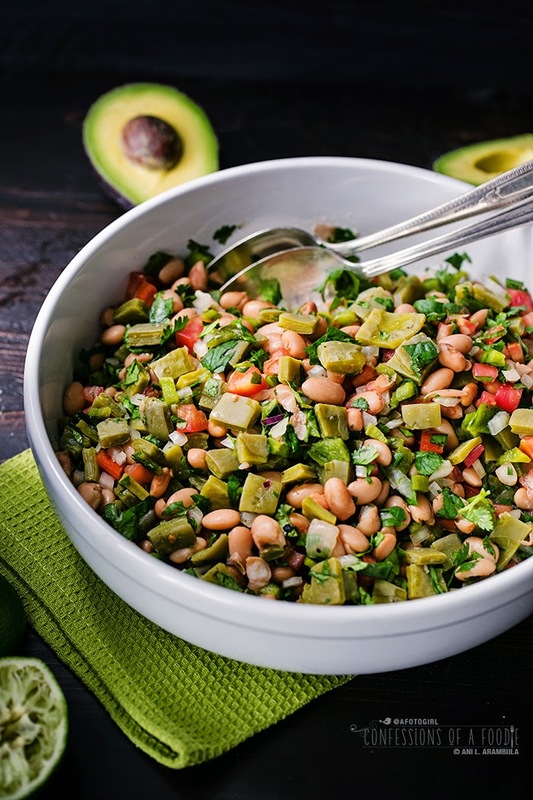 Without the beans, which is a more traditional way of serving this salad, it's called enselada de nopales and sometimes, enselada de nopales a la Mexicana. "A la Mexicana" because the green of the cactus and cilantro paired with the red from the tomatoes and the white of the onion make up the colors of the Mexican flag. Whatever you call this, just call it good! Seriously, this salad, most popular during lent because it's packed with plant based protein and tons of vitamins, minerals and fiber, is comforting when served warm and refreshing served cold after it's had a day or two to hang out in the fridge. 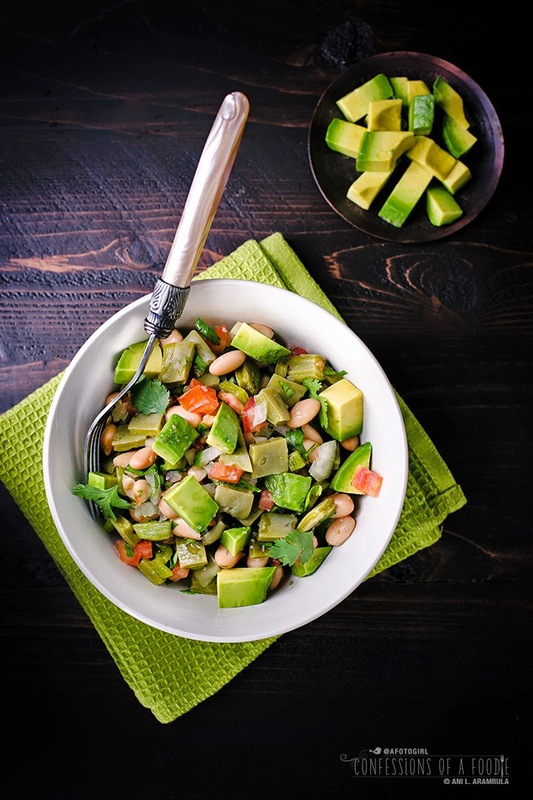 Since the individual components are cooked packed with flavor and are then paired with fresh vegetables and cilantro, this salad doesn't need a dressing. Dad never adds anything extra. He just chops up the fresh stuff and tosses it with the cactus and beans. I like it with a squeeze of lime to brighten everything up a bit more and to finish, I add a touch of sea salt over the individual bowls. The avocado is optional, but highly recommended. You could also add some crumbled queso fresco if you like but we've never found it necessary. 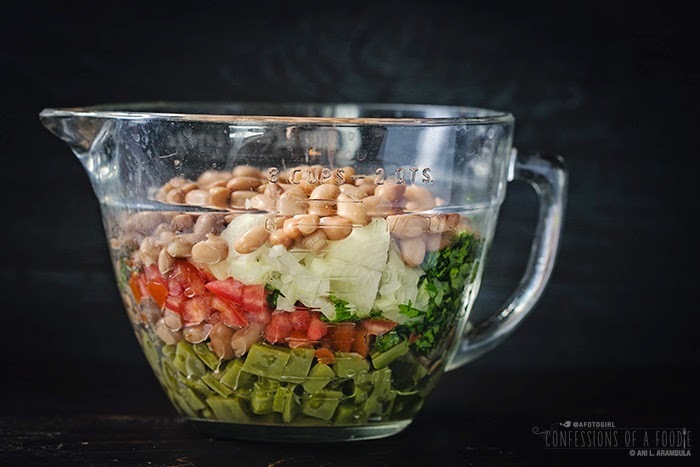 Toss the salad ingredients together in a large bowl until well combined. Divide between 6 bowls and top with chopped avocados. If desired, squeeze additional lime over the salad, to taste. Top with queso (optional). Finish with pinch of sea salt, or to taste. This salad base without the avocado or cheese, will keep in the refrigerator for 4-5 days tightly covered. Just add the avo and queso right before serving.